Come year of the Tiger, the air is heavy with a palpable, upbeat force, making you feel that you can do anything! 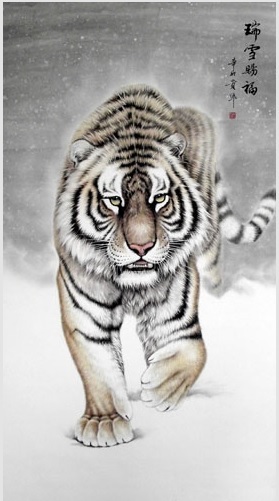 The Tiger, or yin in Chinese, signifies pure power, confidence and strength. It is during the tenure of the Tiger when everyone is enthusiastic, energetic and feeling adventurous. Of all the Chinese zodiac animals, the Tiger casts the most compelling influence. A lot of people would love to have been born in the Tiger's year. It is a well-loved and prestigious symbol in many Asian regions. The Tiger, a symbol of justice, also bestows equal power to men and women born under its rule. It is especially auspicious and revered in China, as the Tiger bears the Chinese character for "king" on its forehead. Indeed, the Tiger represents the soul of the emperor, king, queen or any ruler in many cultures. As a noble animal, the Tiger abhors any deed that stems from greed, dishonesty and insincerity. Aside from its love of pomp, ceremony and tradition, it is natural for the Tiger to champion the helpless and the weak. Altruistic and honorable, the Tiger is also seen as a symbol of guaranteed help and rescue. 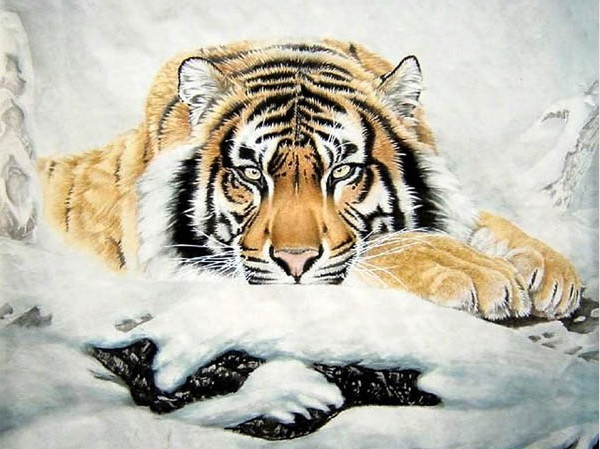 You may find the go-getting Tiger pouncing in a nanosecond to defend, provide aid and fight for the underdog or anyone it perceives to be a victim of injustice. For anyone who invokes the Tiger, sure triumph is at hand. The proactive Tiger is famous for its great power of resistance, and it pours every drop of its energy to overpower its adversaries. The energy of the Tiger rekindles and vibrates at its strongest between 3:00 am and 5:00 am. The Tiger, along with the Dragon, is known to take on hopeless challenges. It revels in succeeding in the most arduous of missions. The Tiger is a Yang animal. It is equivalent to the Sun sign Gemini. The Tiger's energy is powered by the element of Wood. The Tiger's essence is symbolized by amethyst, citrus fruits and the directions East, Southeast, and Northeast. People born in the year of the Tiger do not like those born in the years of the edgy Monkey and the suspicious Snake. Tiger people also do not vibrate well with shimmery gold, silver, brown and black. Although the Tiger rarely gets unlucky, it experiences petty annoyances in connection with the numbers 6, 7 and 8. People born in the year of the Tiger are known to be natural money magnets. They usually do not have to work hard to live in style. Having a Tiger for a friend benefits all zodiac animals, although the Tiger's energy is best matched by the Dog, the Horse and the Pig. The big cat enjoys a special friendship with the Pig, who appreciates the Tiger's magnanimity. In China, the Tiger is counted on to keep away thieves, fire and evil spirits, which are considered the three most unfortunate events that can happen to a household. Door posts were equipped with a tiger to prevent bad luck and ghosts. For protection, parents and grandparents sew a cap resembling a tiger's head for their young ones. The Tiger creates so great a fear in many people's hearts that the ancient folks never called it by its name. They nicknamed the Tiger da chong (huge insect) or the Mountain King. Although the Rat starts the parade of the Chinese zodiac, it is the Tiger that is considered the leader and commander. That is why the Tiger was given dominion over the first month of the Chinese year. This is also the first month of spring, an important time for the ancient agricultural nations. 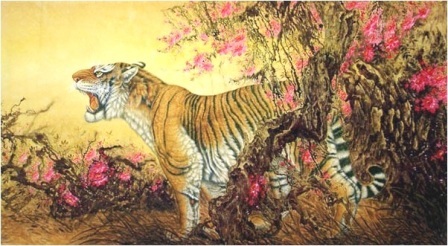 As a symbol of spring, the Tiger represents the vigorous and rejuvenating spirits of the season necessary for animals to regain their strength and reclaim their part of nature, and for new seeds to grow after a long winter. In old traditions, the Chinese gave special attention and discipline to girls born in the year of the Tiger. They have observed that a Tiger wife frequently challenged her husband's authority and decisions regarding the family. The Tiger also figured in a depiction of xiao or filial piety, which illustrates a son on top of a wild tiger trying to keep it from attacking his father. 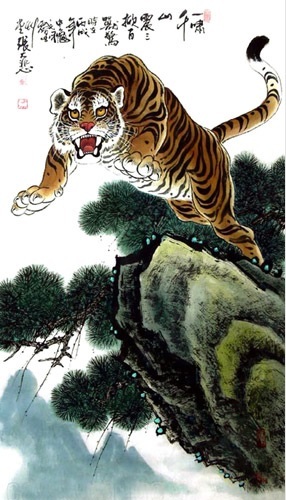 Old Chinese legends tell of the Tiger as the undisputed king of the animals. The ancient people offered sacrifice to the Tiger, which overcame the wild beasts that destroyed their fields. If the Tiger is white, it is a symbol of autumn and the West. Tigers are very useful in casting out the demons of the land. That is why to this day the Chinese install tiger statues on the graves of loved ones. There are many gods who choose to ride the Tiger when surveying the earthly realms. The Chinese are so enamored with the Tiger that legends claim a select tribe of people in South China learned how to morph into tigers. In stories about vicious tigers that destroyed villages, a number of provincial governors, none of whom were brave enough to trap tigers, besieged the gods with prayers for the tigers to stay in the hills and never come to the villages again. Call upon the Tiger for limitless power, success in an impossible task, and protection from seen and unseen antagonists. An image of the Tiger also inspires one to take quick decisions and recognize the perfect opportunities at the right time. Unearth my enemies early on. My challenges are surely won! I hope you enjoyed reading my little piece about the year of the Tiger. Return from the Year of the Tiger to Chinese Zodiac Symbols. You can also discover other fascinating symbols and their meanings on the Symbolisms home page. 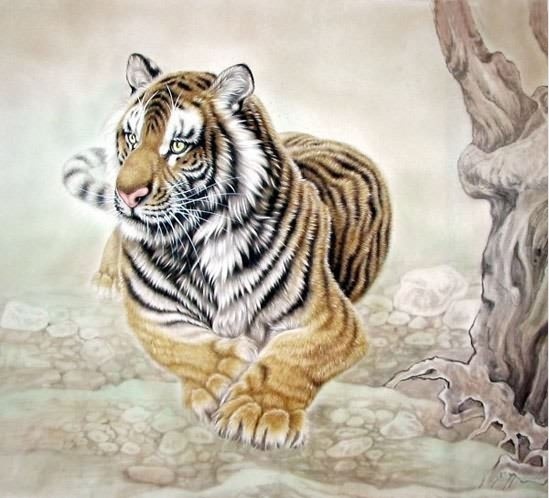 *Tiger paintings are courtesy of artists Wang Gong Zhuang, Zhang Da Bei, Lu Zhi Fu, Wang Gui Qiu and Jiang Shi Hong of Ink Dance Chinese Paintings.